Moving in or out of a property brings many big and small chores to the table. It’s difficult to handle them all, but your burden can certainly be lessened when you have someone to do the cleaning on your behalf. Leaving the house in an untidy condition is unethical and unacceptable. Courtesy demands that you should hand over the property to your landlord in a tip-top condition so that the next tenant doesn’t have to experience any kind of inconvenience. Custom Made Services is widely acclaimed for providing moving out cleaning services in Adelaide. With us, end of lease cleaning is easy, affordable and reliable. You can count on us when we say that your cleaning-related concerns will be heard and not taken for granted. No matter the size of your property, we deliver on our promise. At times, moving in or out from a house stretches by a few days due to one reason or the other. Amidst the hodgepodge, it’s next to impossible to take out some time for cleaning. Engaging in cleaning will further delay your move and hence may cost you your work and other important things that are looming around. The professionals at Custom Made Services will carry out the cleaning without obstructing your ongoing relocation. Further, if you are planning to sell your house and want to portray it in the good light, Custom Made Services can help, for sure. We specialize in cleaning commercial and residential properties for staging purposes. We give you our word for unmatched cleaning assistance at a modest price. Once cleaned, your property will certainly attract more buyers than ever. 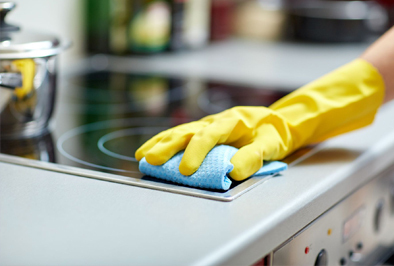 Reach out to us for cleaning services in Adelaide. We have not and will never disappoint our clients on any grounds. Call us today for a no-obligation quote.